A proper pillow is just as important to your overall quality of sleep as a proper mattress. 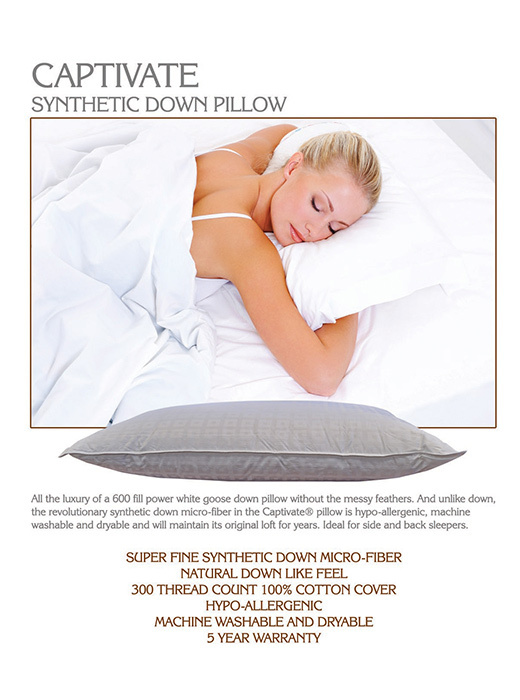 A proper pillow is just as important to your overall quality of sleep as a proper mattress. Research shows that an important key to comfort is how your pillow interacts with your mattress and your body to influence correct alignment and relief of pressure. Dust mites, mold and mildew build up to unhealthy levels in pillows more than a year old which should be replaced for uninterrupted sleep. 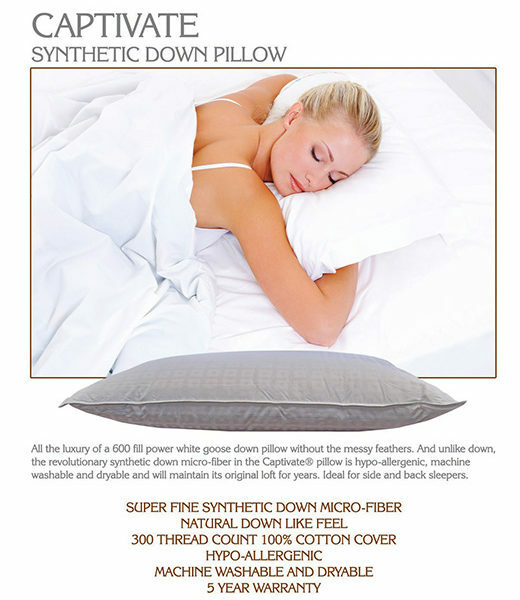 Here are some factors you need to keep in mind when choosing the right pillow for you: Pillows keep the spine aligned. It is very important to maintain the natural neck curve when you are sleeping. If the the pillow is too high, your neck could be bent too much forward or to the side, causing muscle strain on the back of the neck and shoulders. This could also cause narrowing of the air way and obstructed breathing. If the pillow is too low, the neck muscles can also be strained. The right pillow depends on your body type, and should properly support your head and neck. Pillows are comfortable. A large part of what makes a good pillow is personal preference. If the pillow feels comfortable, it’s likely to help you relax, get a good night’s sleep, and feel well rested in the morning. Pillows are adjustable. Pillows should be adjustable enough to fit your individual needs. A pillow should mold to your shape and alleviate any pressure points.